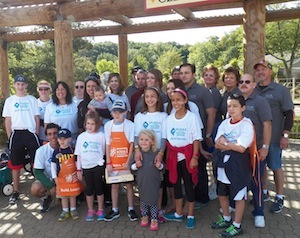 Thank you to everyone who attended our second annual Walk to Remember! Over 1,600 people came to the Cleveland Metroparks Zoo to celebrate life and more than $115,000 was raised to support Hospice of the Western Reserve. All proceeds assist seriously ill patients and their families by providing compassionate services such as hospice care, grief counseling, pediatric palliative care, pet and art therapy, and caregiver support. New this year was a scrapbooking table made available to honor loved one and to tell their story, in all its beauty and depth. These scrapbooks will be displayed as a traveling heartfelt memorial to loved ones at David Simpson Hospice House, Ames Family Hospice House and our office locations throughout Northern Ohio.